This scotch pancake recipe (also known as drop scones) make a great breakfast or snack. Serve hot with lashings of butter, jam or your favourite berries and syrup. Scotch pancakes (also know as drop scones) are smaller and thicker than the crêpe-like pancakes we enjoy on pancake day. 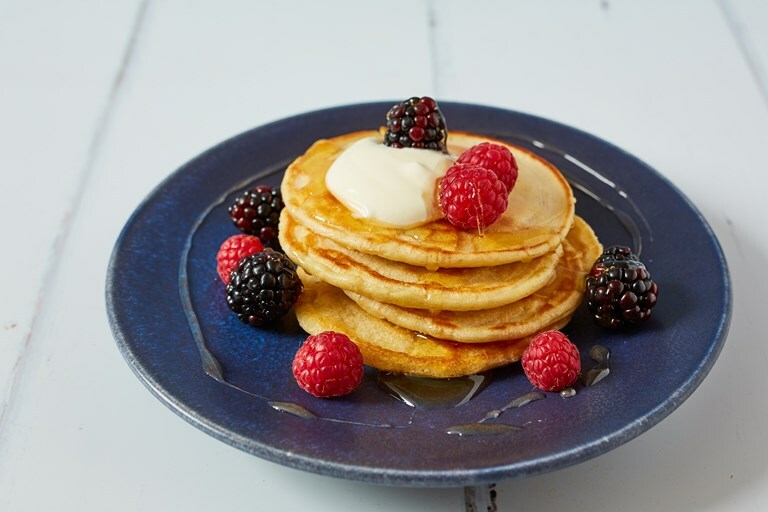 Like American pancakes, they can be stacked and enjoyed with fruits and honey, but traditionally they are served with lashings of jam or melted butter. For a fruity variation, try adding lemon zest to the batter and sprinkling some raisins into the pancakes as they cook.